1) Keep up with what new user are doing by following and you can able to guide them so they will get more out of it. 2) You can help them to improve their productivity by clearing their doubts because after following you can track their Chatter activity. Higher management in Universal Container wants to develop an application for their organization so that new users will auto follow by all System administrators. To solve this requirement we will use Flow and Headless Flow. Before going ahead with the solution you have to understand about EntitySubscription Object. It’s Represents a subscription for a user following a record or another user. The user can subscribe to a record or to another user. 1) Create a Custom Field Start (Data Type: – Check-box) on the User object. We will use this field in Workflow Rule. 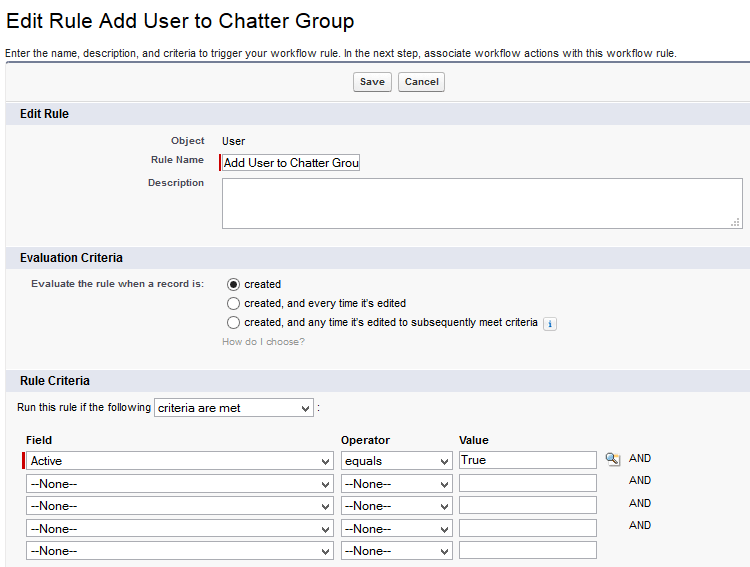 10) Save the flow with name Auto Follow New Users and close the canvas. 5) Save the workflow and activate it. 8) Add one more Immediate Workflow Actions i.e. New Field Update and Set Start to False, so it won’t create an issue next time when you will try to update the user. 9) Save the workflow and activate it. Note: – I will suggest you Implement this first on your developer org test it and then move it to Production. Ah I got it! I was putting MY user ID in the admin section of the flow rather than the PROFILE ID. Love your blogs and how to’s by the way!! I am glad to hear that things worked out for you, Stacey! Is there an updated process to this via process builder? I don’t have an immediate workflow action to launch a flow and I’ve been trying to use Process Builder but can’t get this to work. I think I am entering the wrong flow variables/values in the Set Flow Variables step of process builder. Still not working for me. I have User Object (when a record is created or edited), then criteria as No criteria – just execute, then the flow selected with Flow Variable ParentID referencing User.ID. Meanwhile, can you please send me the complete error log ? Is there a way to handle existing follow record errors? I want to create a button where my users can “Follow Everyone” but when I attempt to use your process I am running into the issue of existing duplicate records in EntitySubscription because I am already following some people. 2. Query tweaked – remove profile filter so we get all active users. These changes generate a collection that has all users being subscribed to by the user that starts the flow. This works but I can’t get around the issue of existing duplicate records existing in EntitySubscription. FYI,I don’t have the ability to post files or pics on your blog so typing this out was the only way to go.